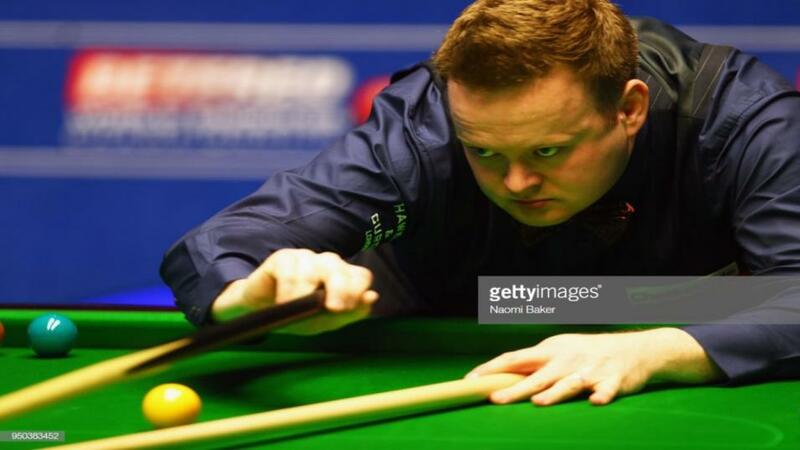 "Murphy faced Ronnie in the last two big event finals - the UK Championship and Champion of Champions - sharing those titles with the best player alive. 'The Magician' has been cueing really well all season and tends to improve as tournaments develop." For the first time in more than two years, a snooker major will be won by somebody other than Ronnie O'Sullivan or Mark Selby. Yesterday's shock demise of the Rocket means this Masters renewal is wide-open and both players to so far progress to the semis have never won at this level before. In theory, then, a golden opportunity for the three major champions in action today. In particular, Judd Trump has probably his best chance of adding a second to the 2011 UK Championship. After that breakthrough, the snooker commentariat was united in that it would be the first of many. Some predicted he could become the best ever but, six years on, the Juddernaut has made little if any progress. That said, he was outstanding in the first round and has played pretty well throughout most of the season. He won the European Masters and also showed excellent form in Shanghai until running into an on-fire O'Sullivan in the final. As always when opposing Trump, there's a chance he could make you look stupid. However at odds-on, against a player with a better recent and majors record, oppose him we must. Just as Trump often seems over-rated in the betting, the reverse applies to Murphy. He faced Ronnie in the last two big event finals - the UK Championship and Champion of Champions - sharing those titles with the best player alive. 'The Magician' has been cueing really well all season and tends to improve as tournaments develop. For my money, he's the one to beat among those remaining and clear value at 2.42 to win this quarter-final. The other remaining big-gun is John Higgins, who faces Ryan Day in the evening match - a player he has dominated over the long-term, as a 10-4 head-to-head record implies. That may be a slightly dubious guide, though, as the Welshman has won two of the last three and most matches were placed during Higgins' heyday. I find the Wizard of Wishaw a very hard character to call nowadays. His best form remains as good as ever, and appears quite frequently, but there are too many random, inexplicably bad performances. That's not ideal considering he's invariably odds-on and today's 1.47 looks way too short. With three tons, Day produced a better standard in the first round and has been in promising form all season. He's in my outright plan and as in the first round, I certainly wouldn't deter anyone from taking 3.05 to win the match. However I slightly prefer a bet on Over 9.5 Frames at 2.25. I don't think this will be one-sided and, in truth, hate being against the granite Higgins in close finishes.